Bay Pines Marina offers a friendly and helpful atmosphere where you enjoy the pleasures of being a boater on the beautiful Florida’s “Sun Coast”. Bay Pines Marina is located in the Bay Pines area of Seminole, Florida. We have always taken pride in our service, marina facilities and our effort to make your boating a trouble-free pleasure. 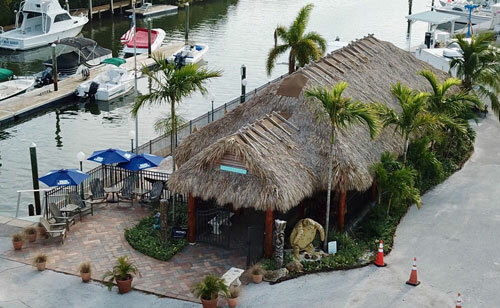 We are a complete full service marina with an informal atmosphere. Leave our entrance channel and you will be boating in the intercostal waterway, the Gulf of Mexico and the world in minutes! We are a full service marina offering wet slips, dry storage, full boat service, on-water non-ethanol fuel, boat sales, electric service, fresh water, security, oil disposal and free WiFi. Our goal is to provide you with the highest level of customer service at the fairest price. Whatever you’re after, you’ll find us open from 8 to 5 daily seven days a week.